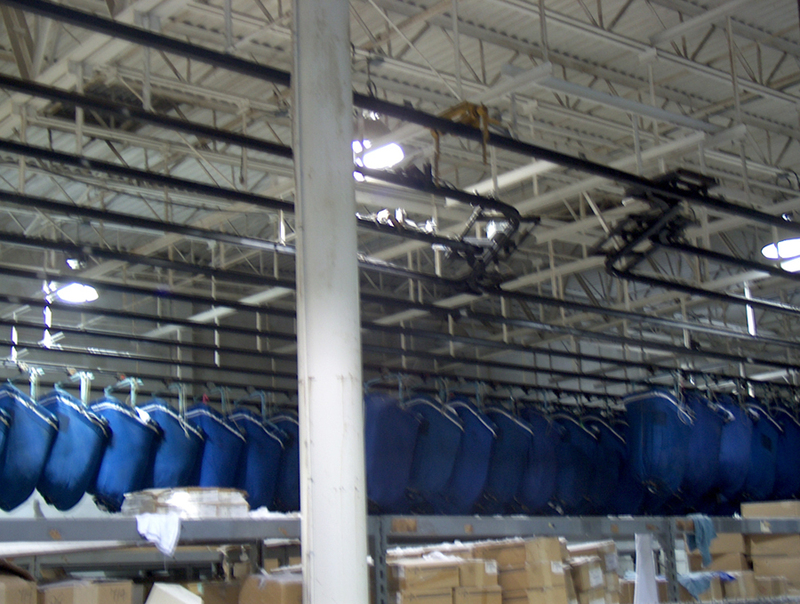 Overhead monorail systems store and transport laundry to washing and finishing equipment. 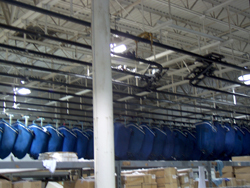 All Gardner Machinery Corporation (GMC) overhead monorail systems, however, are custom designed to each specific customer’s needs and vary from simple push-button systems to systems with fully integrated computer-automated controls. GMC monorail systems are pneumatically operated gravity systems and are constructed of high carbon steel to support slings carrying 100 lb. – 1,000 lb. slings. We use heavier, more rugged components throughout, resulting in longer service life and lower maintenance costs. In addition to the overhead monorail system, GMC also designs and manufactures other components of a Material Handling System: assorted belt conveyors, laundry carts, digital weigh carts, and shuttle conveyors. These components are used in a variety of applications throughout laundries and other industries to decrease the labor and turnaround time required for production equipment. Contact us for a consultation regarding your Material Handling equipment needs.